My 15-year-old neighbor helps me in my studio on Fridays. 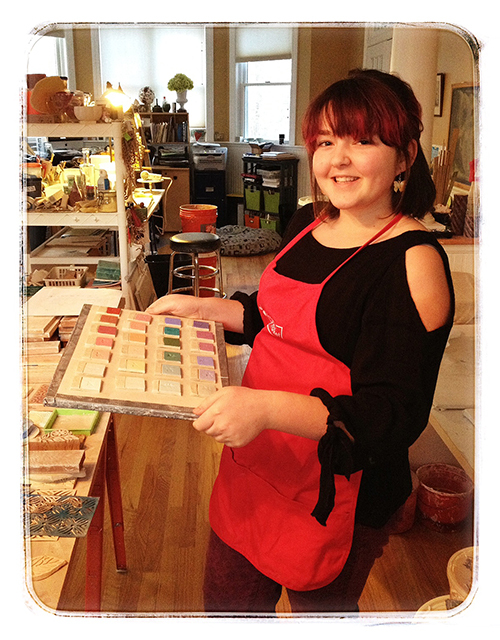 Today, she made test tiles of all of my underglaze colors – something I’ve never had time to do. She did a beautiful job! These will definitely come in handy for the e-course I’m doing with Diana Fayt, one of my all-time favorite potters.